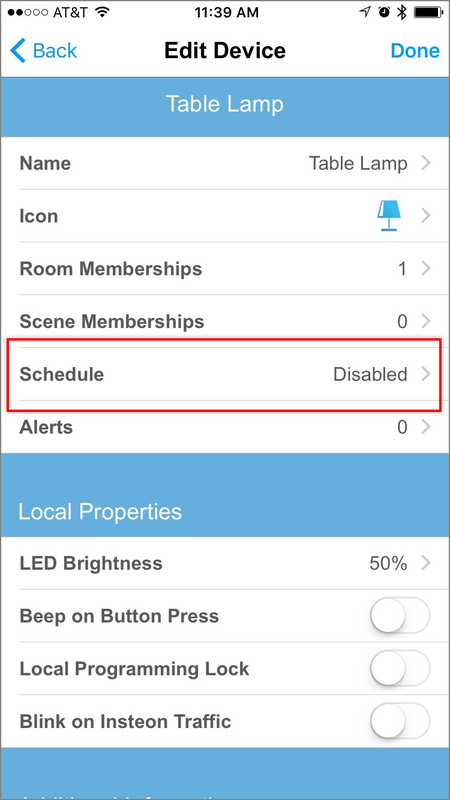 Insteon Hub lets you schedule lights and appliances to turn on and off throughout the day. Follow the instructions in this article to create a schedule. 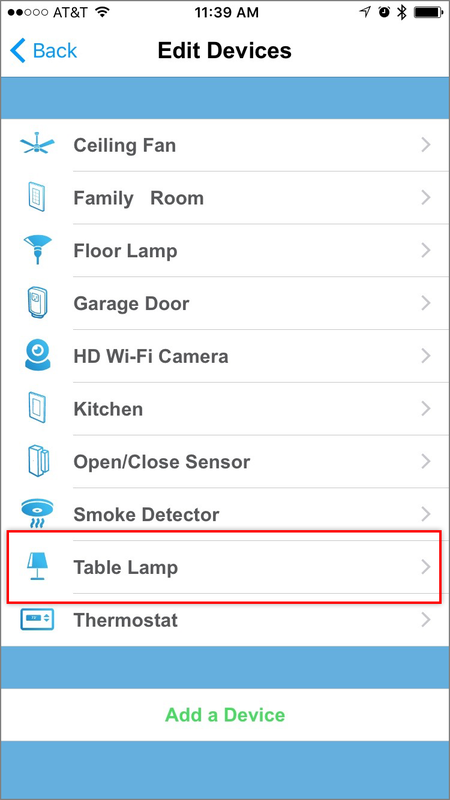 Tap the device that you would like to schedule. If you want to schedule more than one device simultaneously, create a scene and schedule that scene instead. 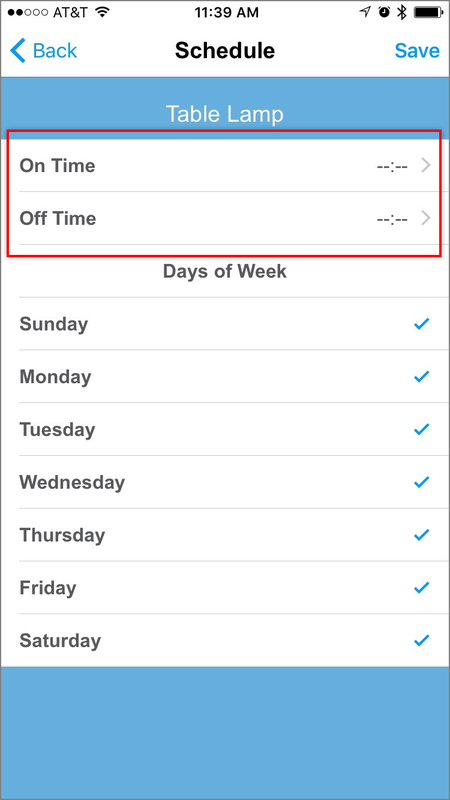 You can schedule a device to turn on, off or on and off based on whether you set a schedule for the On Time and Off Time. Tap On Time or Off Time depending on your desired scheduling needs. Choose when you want your schedule to run: a specific Time of Day, at Sunrise or at Sunset. When ready, tap Done. Choose the days of the week on which this schedule should run. By default, the schedule will run every day of the week. When ready, tap Save.